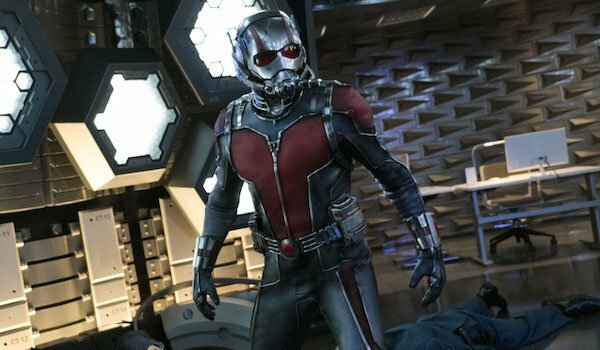 There exists a great deal of potential in Marvel Studios’ upcoming Ant-Man And The Wasp. Not only will it wind up being the company’s first film with a titular female character, and the first to feature eponymous co-leads, but there is the opportunity to build upon what worked in Ant-Man, and work to avoid what didn’t. It’s this that has spurred us on to make this list of what we want to see in the 2018 sequel. Because the movie is so early in development, not really much is known about Ant-Man And The Wasp beyond the fact that it will bring back both Paul Rudd and Evangeline Lilly in their established roles. If the film winds up functioning as we would expect it to function, however, there are a total of seven things that we hope that the feature decides to include. The flashbacks featured in Peyton Reed’s Ant-Man were mostly used to set up the modern day-set plot – giving the audience insight into to both who Dr. Hank Pym is and who he used to be – but here’s hoping that was merely an appetizer for a full course meal in Ant-Man And The Wasp. Because there are actually two duos in the Marvel Cinematic Universe now who have gone by the nicknames featured in the title, it would truly be great to see more flashbacks in the follow-up, but for the sequel to dedicate half of its runtime to a story set in the 1970s featuring the adventures of Hank Pym and Janet Van Dyne - parallel a plot featuring Scott Lang and Hope Van Dyne. 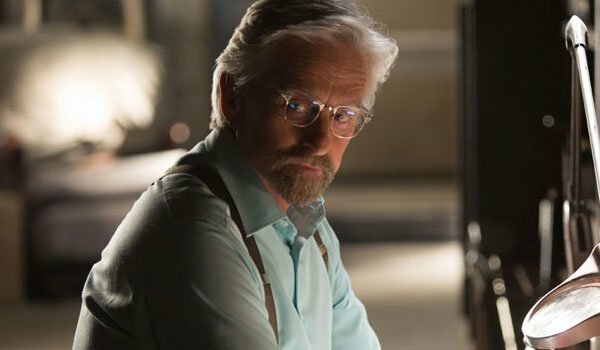 It would surely be a lot of work to recreate the CGI magic of Ant-Man’s opening scene on a much larger scale – which would be necessary if young Hank Pym played a more significant part – but it would be worth it. I would love to see Marvel take a Nick and Nora Charles-esque approach to the period spy duo and fully explore an era that we really haven’t seen much of in the MCU. While Dr. Hank Pym opened an amazing door when he found that Pym Particles could be used to shrink just about anything, the reality is that he failed to initially understand the full potential of his discovery. The truth is that the same particles that can reduce things to subatomic size also have the ability to increase someone or something’s mass as well. This is quickly demonstrated in Peyton Reed’s Ant-Man when an ant is increased to the size of a dog, but it’s something that should be further explored in Ant-Man And The Wasp. Provided that the moment isn’t spoiled in Joe and Anthony Russo’s Captain America: Civil War, it would be amazing to have a third act moment where Scott Lang demonstrates that he can do much more than just shrink, and uses his suit to become the size of a skyscraper (to what end, I do not know… but also don’t necessarily care). This could even open up options where titling a possible trilogy-closer is concerned. 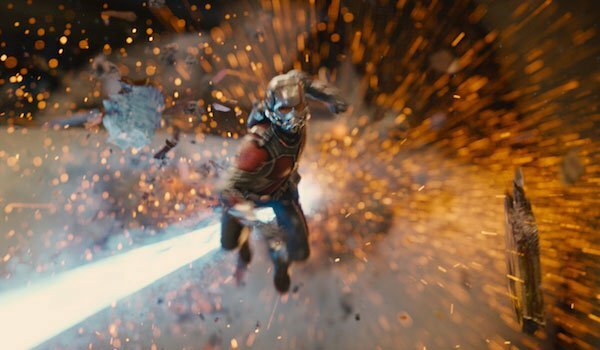 Moving in the opposite direction, Ant-Man And The Wasp should not only explore the capabilities of growing to skyscraper size, but also perhaps get back to the strange world that was briefly introduced in the third act of the last film: the Microverse. We now know both how characters can shrink down to the appropriate size to access it and then grow again (no longer risking being stuck there forever), and it’s something that really no other Marvel Studios movie can explore. As for how to go about doing this, there is a very simple gateway: Hope van Dyne’s long-lost mother, Janet van Dyne. Given that Peyton Reed has hinted about being able to see Hank Pym’s wife during Ant-Man’s Microverse sequence, it would be extremely logical to dedicate at least a portion of the plot to Hope (and perhaps Scott) shrinking down to infinitesimally small size so that she can rescue her mom. Cassie Lang - the young daughter of Scott Lang - eventually grows up to follow in the footsteps of her father to become a superhero, and that would actually be a rather perfect seed to plant in Ant-Man And The Wasp for the future of the franchise. 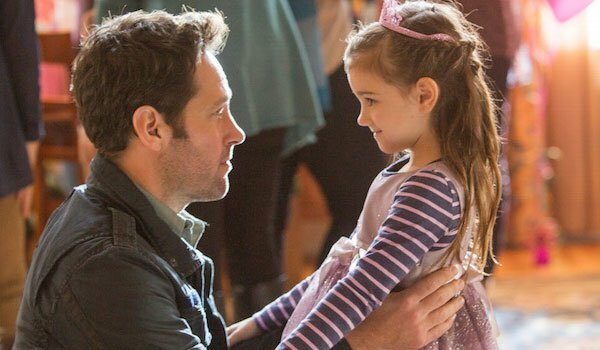 When we meet the character in Ant-Man she is only seven years old – but we can assume that the Marvel Cinematic Universe will probably be around in a decade’s time, so preparing Cassie for the heroic path could be a great move for the sequel. It would certainly be a mistake for Ant-Man and the Wasp to put Cassie Lang back in the center of the action in the third act – as that would just feel redundant after the first movie – but there are other ways to keep her in play. In the comics, Cassie was born a normal human girl, but gained the ability to grow and shrink without a suit due to regular exposure to Pym Particles. It wouldn’t be too hard to at least get the little girl in the lab working with her dad at some point in the film. Ant-Man wasn’t the first Marvel Studios movie to deal with the "Mirror Villain" problem, and the reality is that it probably won’t be the last. Dating back to 2008, the production house has regularly turned to protagonist/antagonist pairs that happen to have the exact same set of powers (Iron Man vs. other armor suited guys, Captain America vs. super soldiers, etc. ), and while Ant-Man vs. Yellowjacket was fun, the casually repeated villain trope is one from which Ant-Man And The Wasp needs to move far, far away. 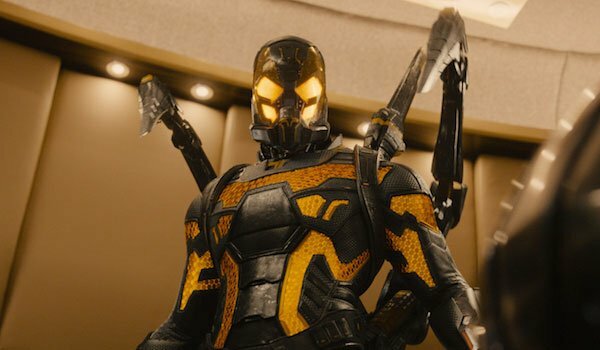 As we recently noted, there are plenty of Ant-Man/Wasp rogues from the comics that don’t have shrinking powers – like Whirlwind and Black Knight - and utilizing them in the sequel will do nothing but force the creatives to come up with something unlike anything we’ve seen from Marvel Studios before. It just needs to be somebody that the heroes have an advantage against when small, but not so big of an advantage that he’s immediately dismissible. Marvel Studios prides itself on making self-contained superhero movies that also happen to be set within the same universe, but the truth is that it’s tremendously exciting when crossovers happen. 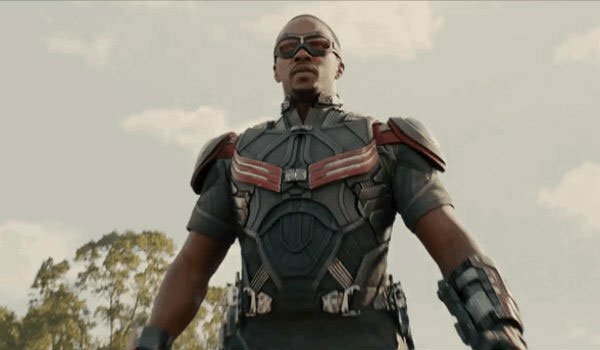 The appearance of Anthony Mackie’s Falcon in Peyton Reed’s Ant-Man is arguably the movie’s best moment, and it’s entertaining if not only just because fans constantly speculate about things like "who would win in a fight, Ant-Man or Falcon?" As such, it would be nice if Marvel Studios could find a way to organically squeeze in a character from the Marvel Cinematic Universe who also doesn’t 100 percent belong within the runtime of Ant-Man And The Wasp. This isn’t entirely unreasonable in an age when Captain America: Civil War is a thing, and Hulk is co-starring in Thor: Ragnarok, and the truth is that the impact of the Falcon fight means that audiences will expect to see something along similar lines in the follow-up. Cut and dry, this is a pretty easy opportunity to simply avoid disappointing fans. Marvel Studios has already introduced many of the comics’ most famous prisons in the Marvel Cinematic Universe – mostly through Agents of S.H.I.E.L.D. - but this is one that I would love to see introduced in Ant-Man And The Wasp. 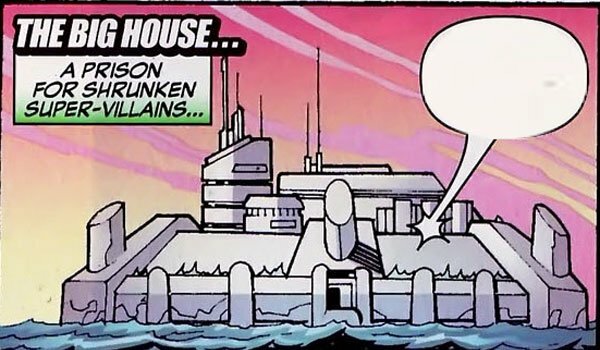 Once the titular heroes are finished disposing of whoever the villain of choice winds up being in the movie, it would be perfect to see them shrunk down and imprisoned inside The Big House, a.k.a. Pym Experimental Prison #1. Not only do I think that The Big House is a fun idea that would be interesting to see adapted into live-action (the ants work as guards! ), its introduction could even be used as a setup for a plot for a potential sequel beyond Ant-Man And The Wasp. Can you honestly say that you wouldn’t be interested to see a movie where the two heroes are shrunk down and stuck inside the prison during a jail break? That writes itself.